Looking for some advice? Turn to the expert. I hope everyone is safe from the storms that have recently rolled through our area. The recent storms made me think about what we could face in the next several months. We soon might face more severe storms or a possible hurricane in the future. In 2003 our area was devastated by hurricane Isabel. However, Stephens Remodeling was immediately able to secure tarps, plywood, and other materials necessary to help homeowners in compromising situations. Lloyd Stephens worked closely with insurance companies, engineers, code officials, and the homeowners to ensure the customer’s home was good as new. When another major storm hits our area millions can be left without electricity and phone lines. This scenario can leave you and your family in a desperate and difficult situation. That is why at Stephens Remolding we are listing our cell phone numbers at the end of this letter. I encourage you to keep these numbers where you can easily find them. Be prepared not only for this summer, but for any emergency that you may face with your home. My family and I just had a wonderful weekend celebrating my dad’s 80th birthday at our home in Williamsburg. Family and friends made throughout my dad’s lifetime arrived from near and far to let him know how much he has meant to them through the years. I overheard one retired Police Captain say to my dad, “Sam, you taught me the characteristics of a true leader at an early age.” Several other men stopped to let him know that they had aspired to be like him. My father is a man among men; his character and name carry a certain weight that can only be attained through a lifetime of hard work, selflessness, honesty and integrity. Sharing our home with friends and family built memories that our boys will carry with them forever. During the party our kitchen and screen porch saw the most use. I have written previous articles about both spaces and, and this is another great example of how much they can add to your home. I just want to stress how important these spaces are; why not renovate them to suit your needs? Now through October 29, 2012, Stephens Remodeling is offering discounts on all Showplace Cabinets and Wood Products. It’s a great time to remodel! Give Stephens Remodeling a call for a free estimate on any of your renovation projects. And I would encourage you to take time to let the people you love know how important they are to you. Call them, send a card, an email or even a quick text; you may be surprised how much of a difference something so small can make. Choosing a remodeler to work with can be one of the most important decisions you may ever make in regards to your home; it ranks just below choosing your spouse and picking between Virginia Tech and UVA. The remodeler you partner with will come into your home and create a war zone out of your kitchen, living room, or bedroom. Needless to say there are many things to consider in choosing your remodeler. Find out if they belong to any professional organizations, what class contractor they are, and if they pursue any continuing education. If your remodeler meets all of the criteria listed above, let me give you two more things to take into consideration, character and personality. Having grown up in a family business, I understand the importance that a persons good name carries. The most important thing to my dad was his name and reputation. He would regularly go beyond what was expected to serve his customers. And if anyone ever has a question, Lloyd is only a phone call away. It’s never been unusual to him to receive a phone call from a customer way after what most people would consider “normal business hours”. Whether its a small question or a major issue, sometimes a quick answer is all that’s needed, no matter what time of day. If you’re considering any sort of project for your home, now or in the future, make sure to do your homework. Always check a contractors basic credentials and qualifications. But don’t forget, personality and personal reputation say a lot about a person and the business they do. When you’re ready to tackle that project on your list, give Lloyd a call and you won’t be disappointed with what you find out. information for projects that we would like to undertake, in the spring we emulate new life around us by starting new projects and by summer we settle in on what we’ve accomplished, kick up our feet and enjoy a nice summer dinner on our new screen in porch. Even though we see it everyday, one of the most neglected part of our homes can be the outside. It’s easy to miss things that may need to be fixed, because they seldom happen immediately. You may not have noticed, but your roof may need to be replaced or repaired due to age. If you have wood siding or trim, you know that if it’s not maintained frequently it will rot over time. If you have wood siding and are tired of painting, consider going to vinyl. Having a maintenance free exterior can be a wonderful thing. After a harsh winter, the caulking around windows, doors and vents needs to be checked for cracking. This simple maintenance can save you from costly energy loss during the hot upcoming summer months. Replacement windows are always a good investment. New windows not only look good, but they will save you money on energy bills, decrease maintenance on your home, and they have an approximate 80% return on investment. Even little inexpensive projects can make a huge difference. Sometimes having the exterior of the home pressure washed can make your home “pop” again. Would you ever consider painting the front door lime green? Using an unexpected color can make you smile each time you pull up to your home. Recently I saw a home that had white siding, black shutters and a lime green front door. I loved it! I would have never thought to use that color for a front door. Have you ever considered a front porch to keep the sun and rain off the front door? What about modifying your existing front porch with new handrails or columns? Many products on the market today are designed to be maintenance free. In today’s economy, many people we talk to tell us that a high quality, maintenance free product is extremely important to them. There are many improvements, large and small, that can add appeal to your home and fix maintenance issues all in one project. We at Stephens Remodeling want to be your go to remodeler. Lloyd will be glad to come out and talk with you about your ideas for this spring. He can also go over any concerns that you may have, answer any questions, and make recommendations if you’re not quite certain what you need to take care of on your home this season. Whatever project you may dreamt up over the winter, I know our personal staff of skilled carpenters and commitment to total quality and satisfaction will ensure that your spring projects are just what you had in mind. The other day I accidentally started my spring cleaning. I know there are still a couple of months before spring arrives (or so the calendar says), but I started thinking, “Do I really want to spend my spring, inside cleaning the house?” Now that the holidays are over and another month of winter is gone, it is time to start thinking about spring projects you may have put off last year or decided upon just recently. Now is a great time to take the first steps towards starting you renovation projects. Do you need extra space before your children get out of school for the summer? If so, you may consider adding a bonus room or converting your attic. Do you have so much stuff piled up in your garage that you can’t walk through it? A small storage shed or nice detached garage can compliment a home wonderfully and being able to pull your car into your garage for the first time in years is a great feeling. Kitchens are always great projects that benefit the entire family and updating your master bathroom can provide a great get-away at the end of a long stressful day. In tune with getting ready for the seasons, Stephens Remodeling recently contracted with a home owner in York County to add a safe room to his home. The home owner was concerned about potential harm that could be done to his family during a hurricane. When this room is complete the exterior walls and ceiling will have superior insulation and strength with six inches thick of concrete with rebar running horizontally and vertically. After contacting several contractors Stephens Remodeling was the only remodeler that had the expertise and knowledge to complete a project of this scope. The building method used for this addition will give this family a feeling of safety and security that conventional building will not. 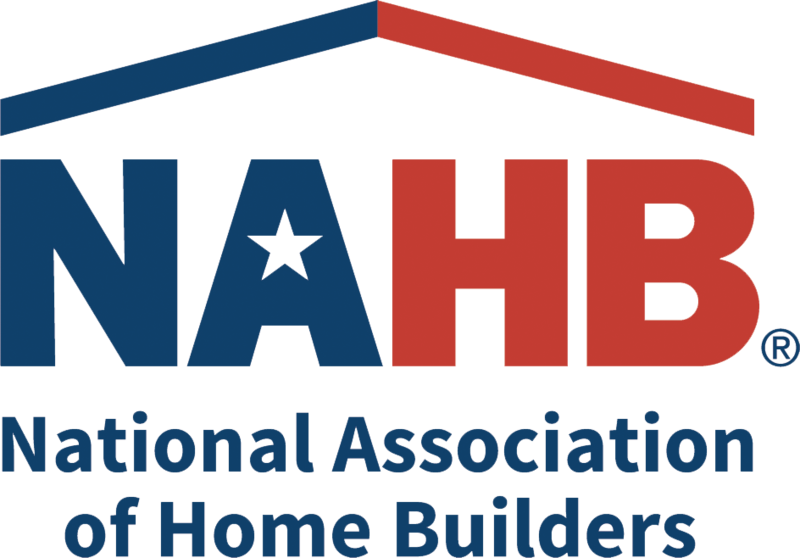 Lloyd Stephens, President of Stephens Remodeling, continues to further his education in new building practices by earning certifications in Aging In-Place, Graduate Remodeler and Green Remodeler. No matter what projects you have lined up for 2012, we hope that you let Stephens Remodeling make them a reality for you. Small projects can have a big impact on your home. There are many different ways to change a room that will give it a fresh look or help open up the space. In the past, some of our customers have found that taking out a full wall or even just half of a wall makes an old home feel new. Many times this is done in the kitchen or dining room area to make the space feel larger and more open. This can make the room appear larger and add a better flow for entertaining. If taking out a wall seems too drastic, consider widening a door way into a room. Often this can accomplish a similar feel as taking part of a wall out. There are a host of other upgrades that can help breathe new life and energy into your home. Consider small things like your fireplace mantle, that dusty space in the corner, or the old dated molding. New mill work, trim or book cases and a fresh coat of paint can change the feel of any room. Recently I realized even small, non-permanent changes to your home can impact you emotionally. I recently purchased two new lamps for a room in my home. After bringing them home and turning them on I was surprised how the new lamps changed the atmosphere in the room. Opening up spaces in a home can liven it up, but bringing more light into your home can do more for you than just make it brighter. Studies on the effects of a lack of natural sunlight show that that your mood is influenced by a complex web of relationships. Your exposure to sunlight can affect the levels of melatonin (the sleep hormone) and serotonin (the hormone associated with wakefulness and elevated mood) in your body. Lynda Liu, a columnist for WebMD, suggests that a lack of summer sun can cause Seasonal Affective Disorder (SAD). She says serotonin levels increase when you’re exposed to bright light and that bright-light therapy can bring quick benefits to people with depression or SAD. There are several great ways to bring more light into your home. A new sunroom or an addition with a large bank of windows is great if you have the room for it. If not, modifying an existing, south-facing, exterior wall to accept a large bay window can do wonders. Places in your home like this truly help you to stop, relax and enjoy a few moments of the day. Take a few minutes and think about what you could do to brighten your home. Whether it is a large remodel, a small sunroom or just opening up a doorway, I hope you will give it some consideration. Revitalizing an area in your home can feel like a breath of fresh air and it can be as simple as finding a new lamp or a coat of paint. Whatever it is, my wish for you is that your home makes you happy; and if you’re considering some large changes I hope that you will give Stephens Remodeling a chance to help you with those projects. As the holidays are approaching, I am reminded that many things will be different for our family this year.Our three sons are young men with their own lives. Family time as a whole unit is limited. It is a special time when we can be home altogether. Over the years, my husband Lloyd, President of Stephens Builder Inc., and I have been fortunate to build two homes for our family. In both houses, we had a screened porch. What we did not know at the time was the value these screened-in rooms would bring. I am not speaking of additional resale value, but the family connections created by gathering on the porch. I recently heard Naomi Judd, the country singer, say that every night she and her husband sit on their porch after dinner and just enjoy the sounds and scenery offered by nature. Whether it is a front porch or a screened porch, it is a peaceful place to sit and enjoy the quiet moments of life. A porch is meant for relaxing and laying back. After eating a family dinner on our porch, no one is in a hurry to leave, not even the kids. Everyone just stays. We talk and have fun together. The comfort of this room, the outdoor air and the sounds of nature create the perfect environment for close family connections. It feels like we are on vacation and have all the time in the world. When family comes to visit, the screened porch offers an informal gathering place. A porch can also provide valuable space for parties or conduct your club meetings. It is a great place to have an informal lunch or a candlelit night with your loved one. It can be the perfect place to spend personal time, play your acoustic guitar, read a book or write a poem. If you have an existing deck and you are considering a screened porch, only a few modifications to the footing might be required to make it happen. Just think about it, a special holiday gift that will keep on giving you joy throughout the year! My husband Lloyd owes his remodeling success to his diverse background in building and education. Lloyd first graduated from Newport News Apprentice School in 1981and while working full time at the Shipyard, he earned his bachelor’s degree in Business Finance from the College of William & Mary. He never stops learning and continues to get certified in remodeling specialties. He has earned accreditations a Certified Graduate Remodeler and a Certified Lead Remodeler. 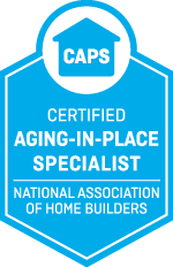 Lloyd is also certified in Green Building and is an Aging in Place Specialist. He has the knowledge and credentials to assist homeowners with special remodeling needs. Whatever your remodeling dreams may be, Lloyd of Stephens Remodeling has the education, experience and the answers to do it. At Stephens Remodeling, we have been designing and building custom home improvements to residents throughout the Hampton Roads area for over 25 years. Our team of craftsman have completed many high-quality, high-value remodels, exceeding client expectations. below to receive a free, no-obligation quote on your project.